America’s economy may be picking up steam, but it remains a story of parts, with the various regions of the country performing in often radically divergent ways. To identify the regions with the most momentum coming out of the recession, we turned to Mark Schill, research director for the Praxis Strategy Group, who crunched a range of indicative data from 2007 to today for the nation’s 52 largest metropolitan statistical areas. To gauge economic vitality, we used four metrics: GDP growth, job growth, real median household income growth and current unemployment. To measure demographic strength we looked at population growth, birth rate, domestic migration and the change in educational attainment. All factors were weighted equally. Our assumption is that strong local economies attract the most people and create the best conditions for family formation, which in turn generates new demand. Strong productive industries drive demand for such things as heath care, business services and retail, as well as single-family houses, a critical component of local growth and still the aspirational goal of the vast majority of Americans. This, of course, depends on economic factors, which drive perceptions of better times and provide the income necessary to qualify for a mortgage. Our results are based on metrics often overlooked in assessments that are focused primarily on either asset inflation — stocks or out-of-control housing prices — or are built around anecdotal, cherry-picked data from, for example, just one part of a metropolitan region. Despite all the attention lavished on places like Manhattan or Chicago’s central core, virtually all the fastest-emerging economies coming out of the recession are either in the Southeast, Texas, the Great Plains or the Intermountain West. 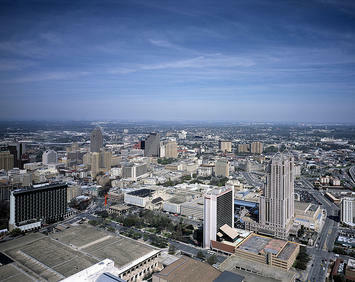 Of our top 10 metro areas, only one is on the east or west coast: 10th-ranked San Jose/Silicon Valley. Most of the strongest local economies combine the positive characteristics associated with blue states — educated people, tech-oriented industries, racial diversity — with largely red, pro-business administrations. This is epitomized by our top-ranked metro area, Austin, Texas, which has enjoyed double-digit growth in GDP, jobs, population and birthrate since 2007. The Texas capital has a very strong hipster reputation, attracting many of the same people who might otherwise end up in Silicon Valley or San Francisco, but it also boasts the low taxes, light regulation and reasonable housing prices that keep migrants there well past their 30s. As has been the case for most of the past five years, Texas cities are clearly the place to be in terms of job creation, wealth formation and overall growth. All the other major Lone Star cities place highly on our list, including second-place San Antonio and Houston (fourth). Clearly many parts of the Sun Belt have not died off, as many Eastern pundits gleefully predicted during the recession. The migration of Americans southward, thought by the Eastern press to have petered out, has resumed, particularly to Texas and Sun Belt cities with strong economies. One critical factor propelling growth has been the energy revolution, which is rapidly transforming big swathes of middle America into a production hub for fossil fuels and the best place to secure cheap electric power. Besides the Texas cities, other energy capitals doing well including Salt Lake City (No. 3) and Denver (No. 7) — both of which also boast burgeoning tech sectors — as well as Oklahoma City (No. 8). One canary in the coalmine suggesting future dynamism is a rising share of highly educated people in the population. Places like Nashville, Denver and Salt Lake are all getting smarter faster, increasing their numbers of educated people faster than “brain” regions such as Seattle (14th), San Francisco (22nd), Boston (26th), New York (31st), Chicago (40th) and Los Angeles (44th). Another survey looking at areas that have gained the most young college graduates since 2006 found similar trends, with Nashville, New Orleans, Dallas, Austin, San Antonio and Houston among the leaders. More important still, in these high- growth cities, educated labor is not tethered to the current social media bubble, but to more diverse industries such as medical services, energy, manufacturing and business services. Other evidence of these areas’ dynamism includes high rates of birth and family formation. After several years of declines, the nation’s fertility rate now appears to be rebounding somewhat, with some demographers predicting we may on the cusp of a “birth bounce,” in part as millennials start entering their 30s. Certainly this welcome trend will accelerate if the economy continues to gain strength. So where will these new families likely settle? With the exception of Washington D.C. (12th), virtually all the areas with the fastest projected rates of household formation are in the Sun Belt, led by Houston, which is expected to add 140,000 new households by 2017, the largest increase in the nation, nearly twice as many as much larger New York. Indeed despite some of the most active homebuilding in the nation, the energy capital clearly needs more homes; sales have been so strong that it has now reached the lowest inventory in recent history. Critically, most of these cities embrace growth, whether in their urban cores or suburban peripheries. In contrast, some strong economies, such as San Jose and San Francisco, are also among the most restrictive in terms of new construction, leading to ever escalating prices that tends to force 30-somethings and families out of the region. High housing costs also play a depressing role in always hyped New York, as well as Los Angeles and Chicago; all suffer high rates of domestic out-migration and depressed household formation. Chicago is now projected to have virtually no job growth next year, not a good sign in an economy that remains well below its 2007 employment level. What other regions are likely to lag, even amid a strengthening recovery? The list includes Sun Belt metro areas where the housing bubble hit hardest and job growth has not revived, such as Las Vegas (51st) and Riverside-San Bernardino, Calif. (49th). In these cities real per capita household income remains almost 20% below 2007 levels. With fewer people able to afford new homes, these areas have roughly 8% fewer jobs than five years ago. Other bottom-dwellers include several industrial cities where even a resurgence in manufacturing has failed to erase the catastrophic losses suffered in the recession. Detroit ranks dead last at 52nd; Providence, R.I., 50th; and Cleveland 48th. All three have fewer people than in 2007 and at least 5% fewer jobs than. These differentials between regions could widen further in the future, as the impact of the energy revolution deepens and the current social media craze begins to die down. This happened after the first dot-com bust at the beginning of the last decade, sending roughly half of California’s tech workers out of the industry or out of the state. Looking across the board, it seems likely that the best places to look for work, or invest, will be those that have diversified their economies, kept costs down and attracted a broad cross-section of migrants from other parts of the country. These may not all be the favored cities of the media, or the pundit class, but they are the places offering a variety of positives to residents at every stage of life. These balanced regions are the places employers and families are most likely to flock to. Such places have not only transcended the worst effects of the recession, but seem primed to take advantage of a nascent expansion that could redraw the map of the country. Submitted by obat herbal on Wed, 04/15/2015 - 11:43. Submitted by christinecramer on Tue, 04/14/2015 - 15:19. Thanks for posting this great stuff. Bookmark our website with the best nose job. Submitted by beardsmen1945 on Fri, 05/15/2015 - 02:56. Submitted by Harry John on Wed, 07/23/2014 - 10:38. Well..Once again Praxis Strategy Group is wrong. Submitted by Racaille on Sat, 12/28/2013 - 10:39. "In contrast, 577 middleweights—cities with populations of between 150,000 and 10 million, are seen contributing more than half of global growth to 2025, gaining share from today's megacities. By 2025, 13 middleweights are likely to be have become megacities, 12 of which are in emerging-markets (the exception is Chicago) and seven in China alone." That's right. Not NYC, Houston, or LA....Chicago. "High housing costs also play a depressing role in always hyped New York, as well as Los Angeles and Chicago; all suffer high rates of domestic out-migration and depressed household formation." Even Wiki has better numbers than Praxis. Submitted by PhilBest on Thu, 01/02/2014 - 17:52. ".....577 middleweights—cities with populations of between 150,000 and 10 million, are seen contributing more than half of global growth to 2025, gaining share from today's megacities....."
Is Houston not among the 577? And why on earth did you say ".....Not NYC, Houston, or LA...."???? NYC and LA already ARE in the Megacities in the McKinsey analysis. That is why they aren't in the "to be megacities" list. DUH. Chicago already has 9 million people, meaning that it is only 1 million short of the "megacity" cut-off of 10 million in the McKinsey data. What kind of achievement is it, to be forecast to grow from 9 million to 10 million between 2012 and 2025, compared to Houston growing from 4 million to 5 million between 2000 and 2010? And Chicago has far more affordable housing than New York or LA, which helps to prove the point that housing affordability matters for growth potential, period. I would wager that if Chicago drinks the smart growth Kool-Aid very soon, it won't make the 10 million. Ever. Now what is the point you are trying to prove with your contributions here? Submitted by Racaille on Fri, 01/03/2014 - 09:33. "Now what is the point you are trying to prove with your contributions here?" That clearly your reading comprehension is rather poor. Submitted by PhilBest on Sun, 01/05/2014 - 03:21. Submitted by J1 on Fri, 12/27/2013 - 17:11. "Of our top 10 metro areas, only one is on a coast: 10th-ranked San Jose/Silicon Valley"
Houston's not on a coast anymore? Submitted by Joel Kotkin on Fri, 12/27/2013 - 17:34.